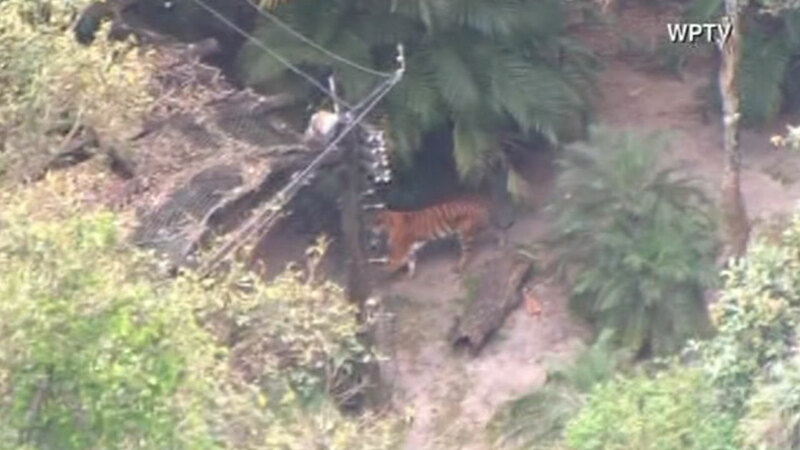 A zoo worker has died after a tiger attack at the Palm Beach Zoo. WEST PALM BEACH, Fla. -- A zoo worker has died after a tiger attacked her behind-the-scenes at the Palm Beach Zoo, according to WPBF-TV. "The zoo immediately went into lockdown mode," Naki N. Carter, public relations manager for the Palm Beach Zoo told WPBF. "Guests were never in danger at any time." The victim was taken to the hospital by helicopter in critical condition after the tiger was tranquilized. She was initially listed in critical condition, but later died of her injuries. The Occupational Safety and Health Administration are investigating the attack, as well as the Palm Beach Sheriff's Office. Carter said this is the first time that a death of this nature has occurred in the Palm Beach Zoo's history.